Frugal Friday: Homemade Yogurt, Surprisingly Easy! Working in a small, locally-owned grocery store that specializes in organic produce and other local products has its perks. The store itself has very little waste- everything that can be recycled gets recycled, produce at the end of its shelf life gets sent to the cafe, given to employees, or composted, and day-old bread and some expired products get passed on to local food pantries. But when it comes to dairy, people are wary of expiration dates. I’ve experienced the putrid, smelly consequences of not respecting those little stamped dates, but in my experience milk that has officially expired is still usable for quite some time, especially if it’s kept sealed. Needless to say, this frugal girl takes advantage of the nearly continuous supply of milk. We’re not big milk drinkers, and there’s only so much baking I can do before an open container starts to spoil. I’ve made a simple cottage cheese, & I’ve been meaning to get my hands on some cultures to make other cheese (rennet-free, of course). In the meantime I’ve been making yogurt. Heat your milk to about boiling. I use a quart at a time. I’ve read that you can keep your yogurt “raw” by only warming it up to about 115ºF, warm enough to incubate the yogurt culture. I’ve been using pasteurized milk, and heating it to almost boiling (~180ºF) because it yields a thicker yogurt. Allow milk to cool to about 115ºF. If you don’t have a thermometer, dab a little on the inside of your wrist, if it feels hot it’s not ready. It should feel warm, but not too warm. Add your yogurt culture. You can purchase this, but the most frugal option is to just use previously-made yogurt, one tablespoon per quart of milk. 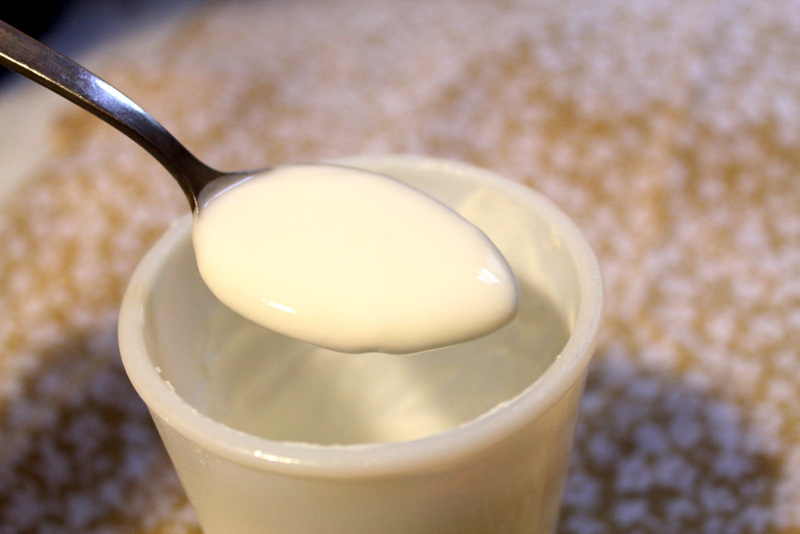 You can use commercial yogurt as long as it says it contains active, live cultures. 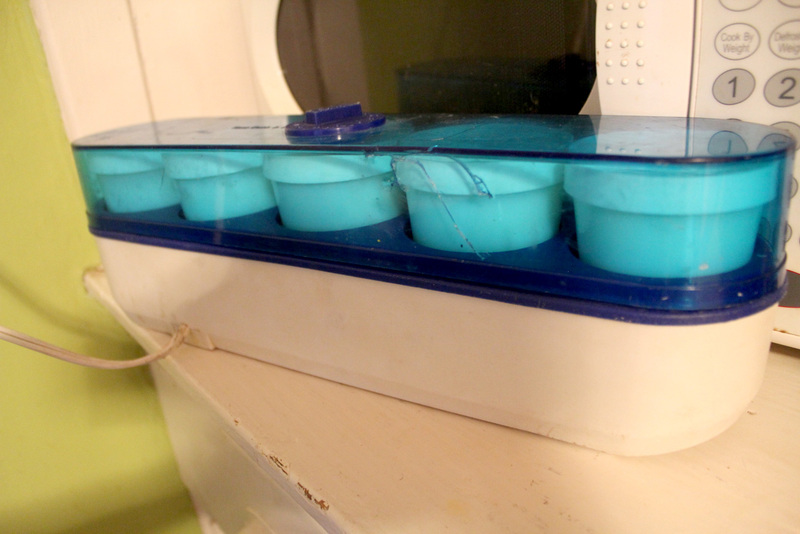 I froze some expired yogurt I got from work in ice cube trays and drop 1 cube in each batch I make. Once you’ve made your own you can freeze that and use it instead. Keep the mixture warm, ideally about 115ºF, for 4-8 hours. There are many ways to do this, the easiest being a yogurt-maker. I found one for free on Freecycle- it’s not the prettiest but it keeps a constant temperature. You can also try incubating in a crockpot (often bundled in towels for extra insulation), though my attempts were unsuccessful. The internet is full of other ideas for incubation too. That’s it. Seriously. Now you have yogurt! You can add vanilla or other flavors after incubation, but I usually leave it plain. I’ve been freezing some, too. The consistency suffers a bit after thawing, but it’s great for use in cooking and baking! 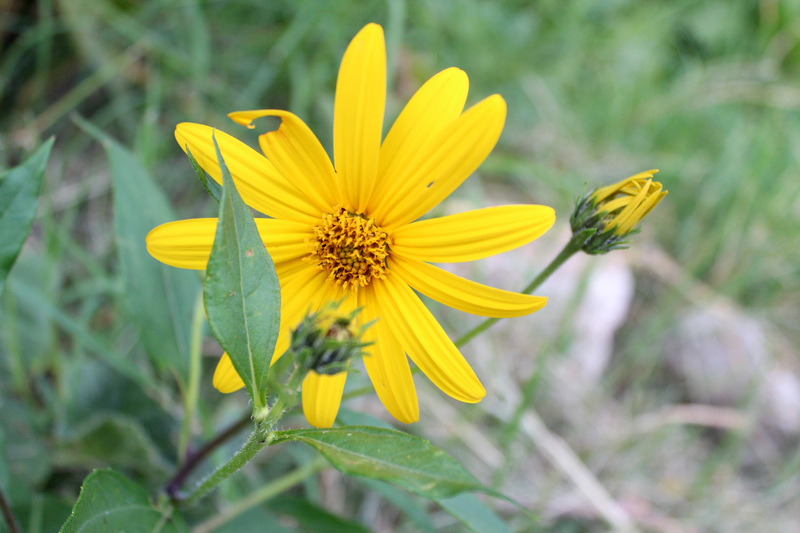 The Iowa Street garden has plenty of life left after this brutal summer. This year our main harvests from this garden were cucumbers, heirloom tomatoes, cut flowers, garlic, herbs, beets, and onions. We’ve cleared out some of our beds to make room for cool season crops, and we’re looking forward to lots of fall harvests. 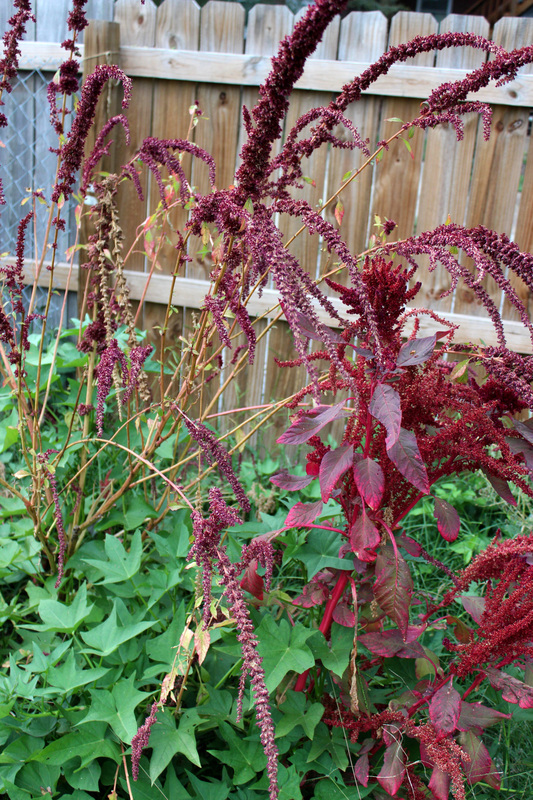 The amaranth and sweet potato bed held up well in the drought. The amaranth will be harvested when the heads dry out; we’ll dig up the sweet potatoes after the fall cold sweetens them up. 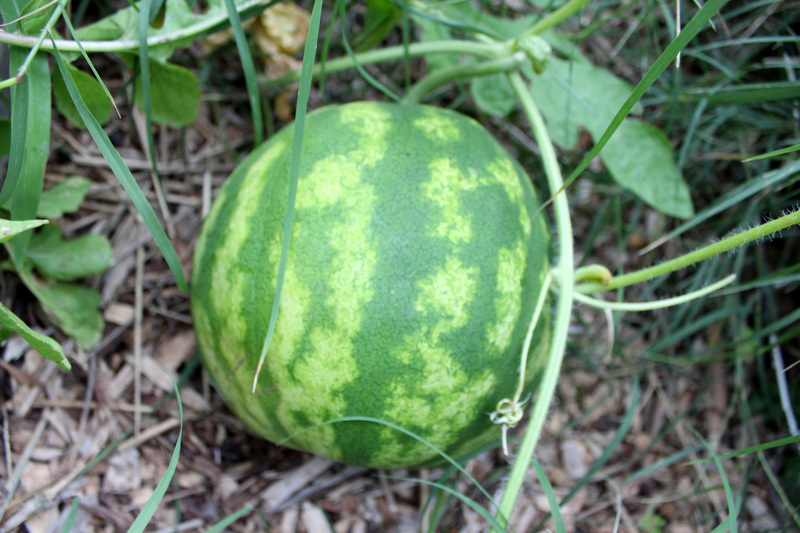 We found another watermelon growing outside of our keyhole garden- best surprise ever! 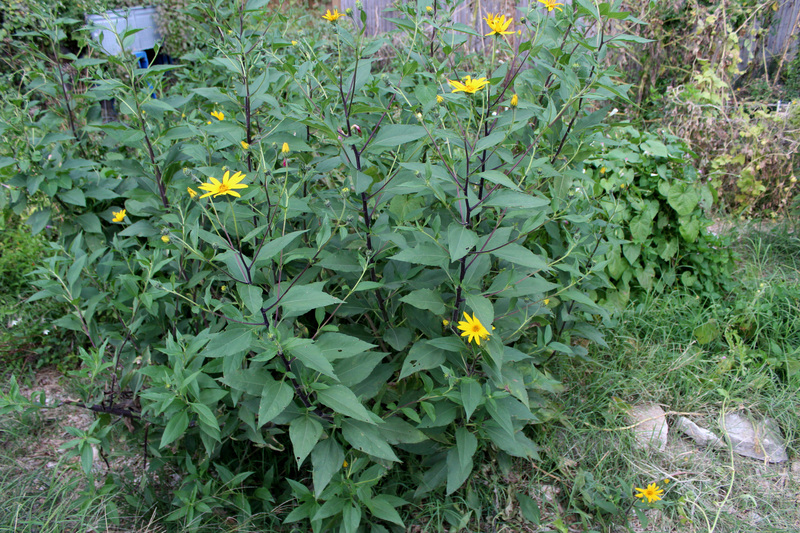 Also planted in the keyhole garden are a couple large stands of sunchokes, or Jerusalem artichokes, which we’ll harvest for their edible tubers. Sunchokes are distantly related to sunflowers… so pretty. 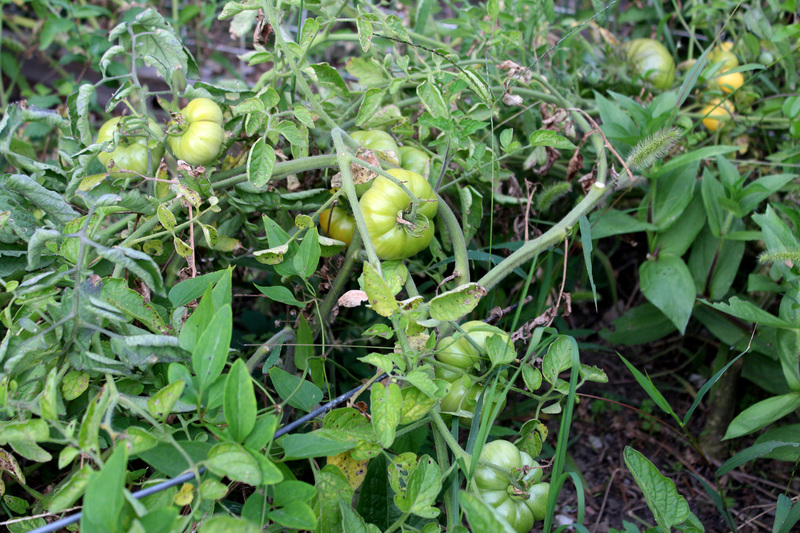 We’ve also got a ton of tomatoes popping… ripening soon, if we’re lucky. More tomatoes in the tomato bed. 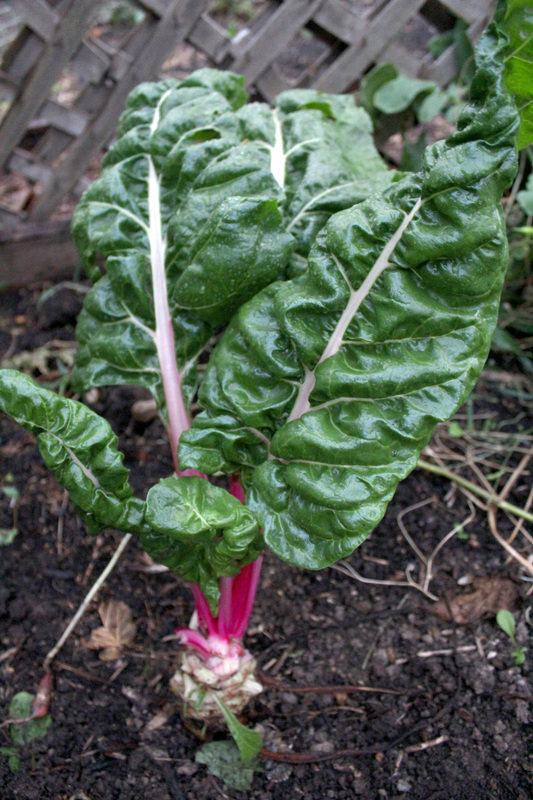 Our two chard plants are still doing well. They’ve been cut back a bit to give us more growing space. The rest of the garden is getting a fall makeover. We started seedlings indoors to transplant into some of our beds, other beds have been direct seeded. 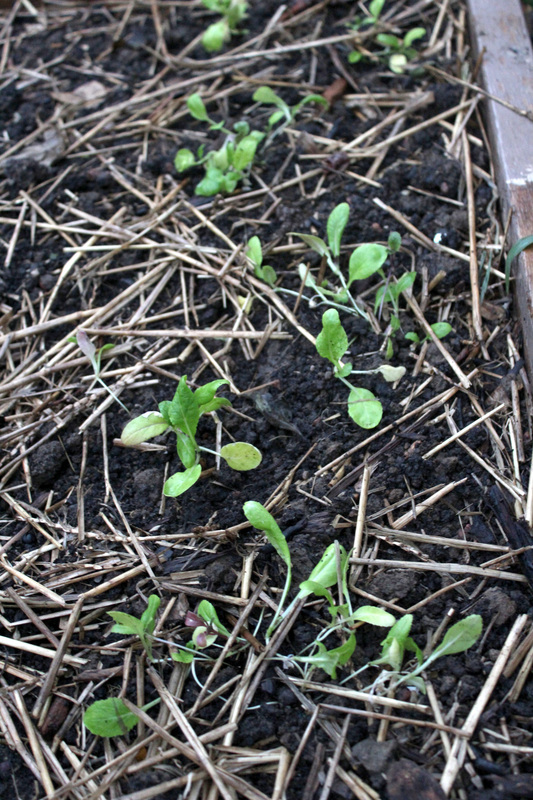 Asian salad greens recently transplanted. 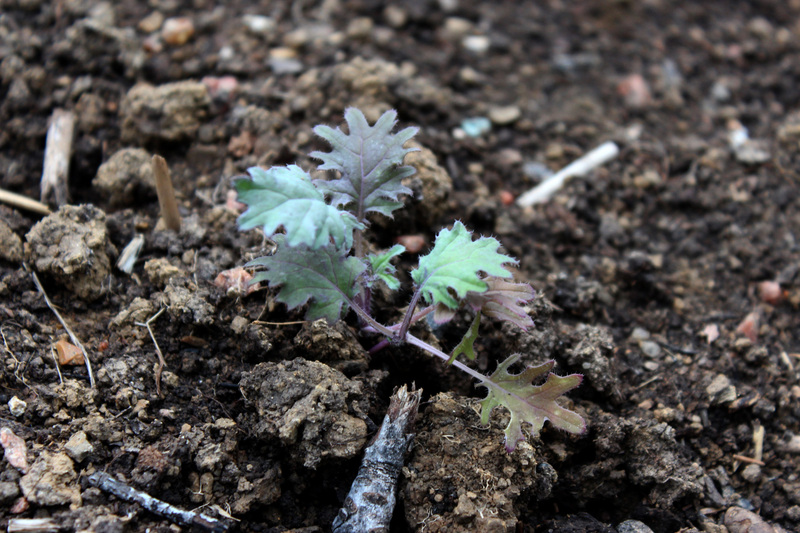 A whole bed of kale- most of it Red Russian- transplanted. Tomatoes aren’t a cool season crop, but we still had some in pots that we’d started in the spring, so we figured we might as well plant them. 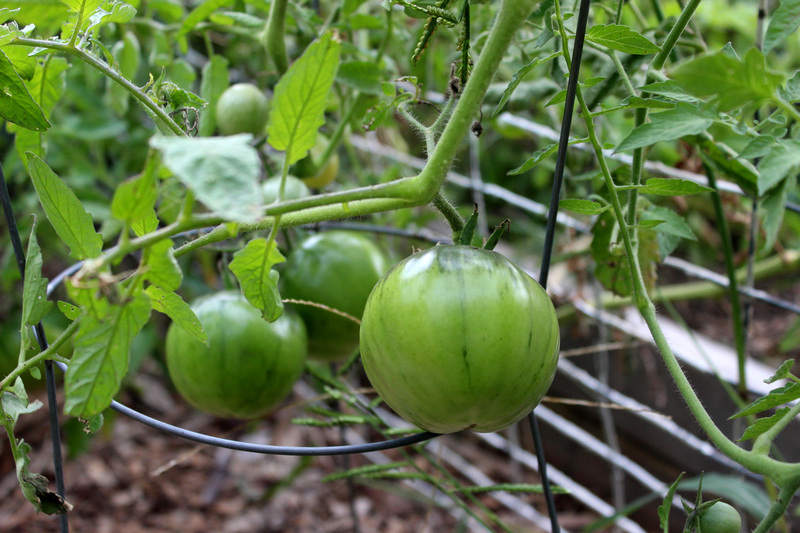 We’re obviously not expecting much-if we get one green tomato from them, we’ll be happy. They’re sharing the bed with basil (also non-cool season), radicchio, and lettuce transplants. We’re hoping to have another mild fall and winter, especially since we got a late start seeding for fall. 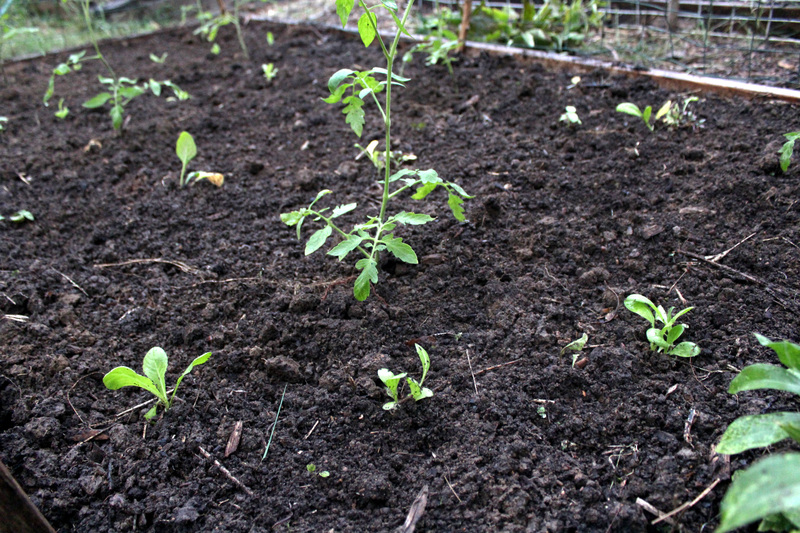 From seed we’ve planted spinach, lettuce mix, carrots, beets, and radishes. We’ve been busy as ever working the gardens, harvesting and selling what we can. Last week the Cherokee Street International Farmers’ Market (which got an excellent write-up in the St. Louis Post Dispatch a few weeks ago) got rained out after an hour and a half, and we found ourselves with a ton of peppers (and tomatoes, but that’s a post for another day) on our hands. We’ve pickled peppers before but we just don’t use them often enough to justify all the work. So we decided to freeze our extra peppers. It’s really the easiest way to preserve them. All you have to do is rinse, de-seed, and chop them before tossing into resealable bags. It helps to have a big enough bag that you can spread them all out in one layer, then store flat or roll the bag up to conserve freezer space. We ended up with 3 gallon-size bags of peppers, mostly sweet banana but also some hot banana peppers. Once frozen they won’t be good raw, but we’ll throw them into stir fries, egg dishes like omelettes and quiches, and Mexican dishes throughout the winter. 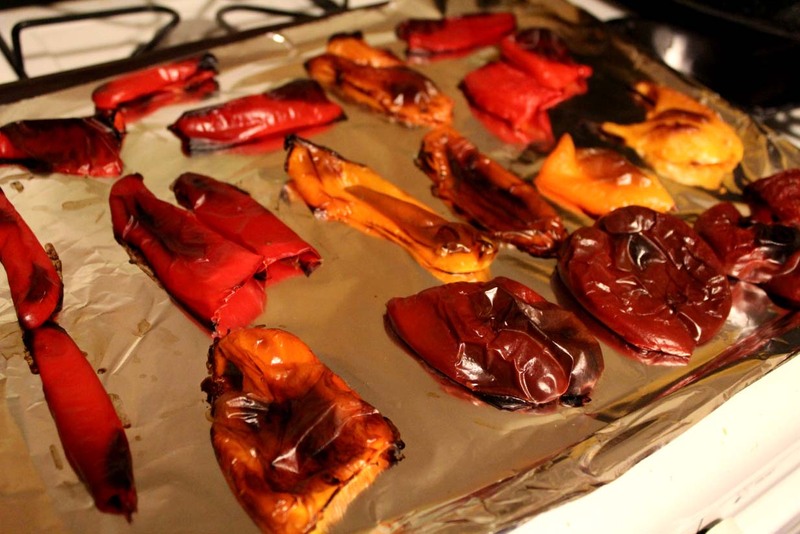 We also roasted some peppers, by de-seeding and halving them before broiling them in the oven for 15 minutes, until the skins blackened. 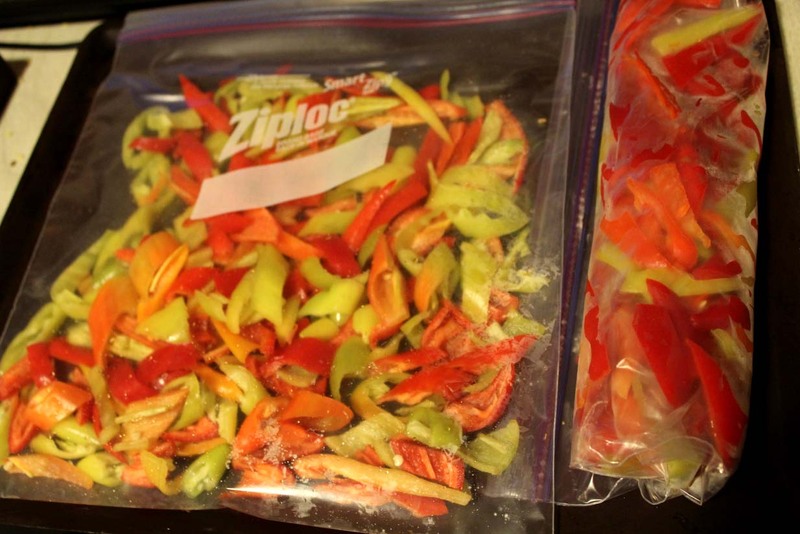 After cooling, the skins are easy to remove- more so in the meatier bell peppers than the thinner banana peppers. We have one serving in a plastic container in the fridge and one in the freezer to enjoy later. As for our jalapeños and cayenne peppers, we’ve got big plans- dehydrate, crush into a powder, and use as seasoning… better than hot sauce when you don’t want the vinegar-y taste. We’ve already exhausted our supply of hot pepper powder from last year!